We like to teach you things; after all, as Ralph Wiggum once said, “learning helps us play!” That it does, Ralph. That it does. This week, we endow you with all you need to know about queen of comedy, Tina Fey. This week’s cheat sheet features everyone’s favourite Ken doll, Aaron Eckhart. Somewhat passed over in Hollywood, performances in The Dark Knight and Thank You for Smoking, along with a jawline that rivals Sophie Ellis-Bextor, have ensured him a spot in the Best for Film fan club. Regular as a clockwork digestive system full of Branflakes, it’s our weekly cheat sheet! This week, we thought we’d give you a leg up for all those inevitable discussions about Black Swan with some insider info on our absolute favourite Queen of Naboo: it’s Natalie Portman. Hurrah for knowledge-based lies! Beginning today, we’ll be giving you a weekly low-down on a cinematic figure you really should know your way around. After all, not only does epic film know-how make you a better person, but it improves your blood-pressure, freshens your clothes and makes you irresistible to foxy humans of your preferred gender. 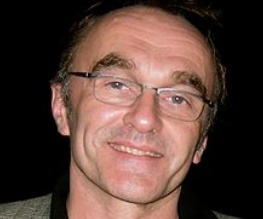 This week: Danny Boyle. Here at Best For Film, we’re dedicated to making your brain shinier. Sure, movies are fun, Leonardo DiCaprio is smouldering and Katherine Heigl MUST STOP, but pssht, these are things everyone knows! Where’s the pretentious joy to be had in that? In our Cheat Sheet series, we’ll be introducing you to fantastic films, people and genres you wouldn’t necessarily hear about on other, less winsome film sites. Why? Partially because we feel it’s important we celebrate the lesser-known, weird and brilliant films that our wide and bumpy world has to offer. And partially because chicks dig you if you talk all clever. First up? Korean director Hong Sangsoo.